Mixed Media is popular now a days; mixing paper, fabric, wood, plastic, metal, polymer clay, resin, glass or any found objects give your piece the one of a kind look. I love mixing any of these materials it gives freedom to imagination. 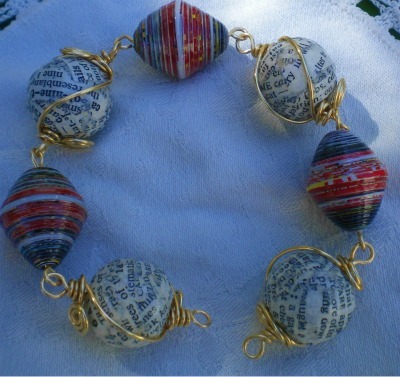 Most importantly, found objects and other natural materials is what goes well with paper beads. 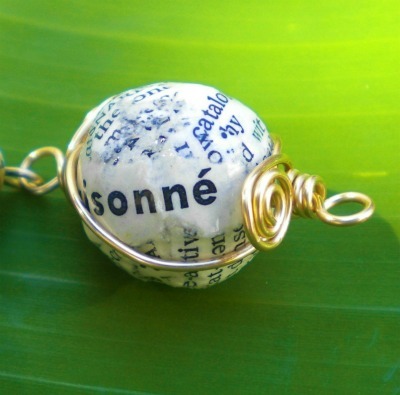 It is a wood bead covered with an old Merriam Webster’s Dictionary and wrapped with non tarnished gold wire. 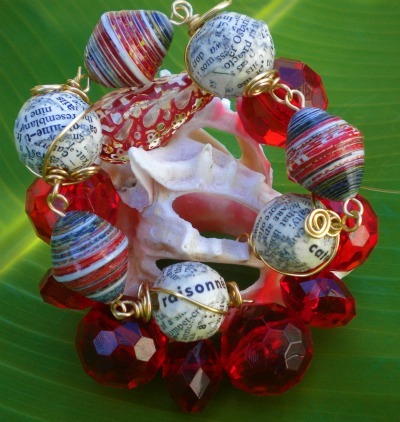 It is something that you can incorporate with any of your creation, for example these vintage red beads…..